Turner Falls is just over an hour south of Oklahoma City and two hours north of Dallas/Ft Worth off I-35. Tulsa is just 2 1/2 hrs away as well. Make a weekend of it or come during the week and enjoy a smaller crowd. NO PETS are allowed inside Turner Falls Park. continue North on I-35 and take Exit #47 for Turner Falls Park. 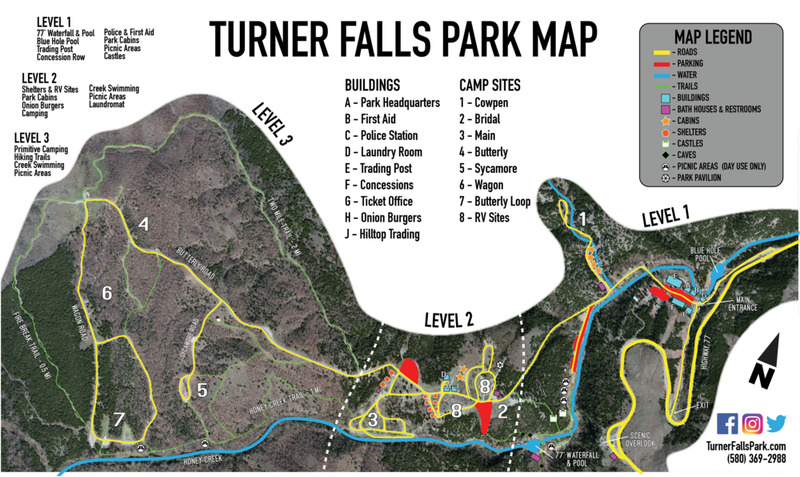 Park is west of I-35 on HWY 77.
continue South on I-35 and take Exit #51 for Turner Falls Park. Park is west of I-35 on HWY 77.